Soft serve ice cream has been a hugely popular treat for it’s convenience and popularity among fans young and old. Soft serve is a softer, creamier version of ice cream. People use the term soft serve to refer to frozen yogurt, ice cream and then “soft serve” which is ice milk. It’s important to be specific if you intend to serve soft serve ice cream as there is a big difference. What is Soft Serve Mix? How Long Can I Store Soft Serve Mix? What is the Cost of Soft Serve? What Should I Consider When I’m Selecting a Commercial Soft Serve Supplier? Instantwhip Foods – Find instant whip,whipped cream, and whipped topping, as well as softserve ice cream mixes. Meadowvale – Find ice cream mixes for your soft serve machines. Also find frozen yogurt for a low fat option to your ice cream. Pacific Valley Dairy – Pacific Valley Dairy manufactures a wide range of frozen custard, ice cream, soft serve, non-sugar products, sorbet, sherbert, gelato and yogurt mixes. Precision Foods, Inc. – Precision Foods is a dry-blending and packaging food company. Find soft serve ice cream mix for your ice cream machines and delight your customers’ taste buds. Steves Frozen Chillers – With our Softserve Ice Cream and Milkshake mix, you will have all of the rich, creamy, delicious taste that you desire. Upstate Farms – Soft serve ice cream mixes. YoCream International – Produces, markets and sells low-fat and non-fat frozen yogurt, sorbet and ice cream products. 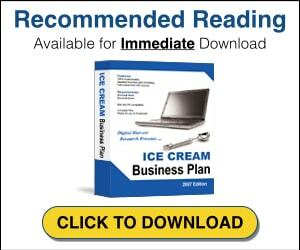 Soft Serve Business Plan – Get your business started the right way. Get a plan and take the first step to starting your own soft serve business.